As Americans generate unprecedented volumes of garbage, much of it food and yard scraps, large-scale composting is slowly gaining traction. At the end of a long, rural road 22 miles east of Washington, Prince George’s County’s composting facility is chewing through thousands of tons of leaves and tree branches that are trucked in daily from across the region. In the past three years, the county has added a new ingredient to its compost: food scraps. Pizza boxes, coffee grinds, and vegetable peels from 25 commercial customers lie in neatly piled rows on this 55-acre, open-air site. They are working through a natural digestion process boosted by hungry microorganisms and freely available oxygen from the air. On a frigid winter day, fresh from the decomposing routine, a rich-brown, almost clay-like humus was still steaming. This Prince George’s facility offers a peek into the next frontier of recycling. Food and yard trimmings account for a bigger share of America’s trash than anything else – about 28 percent – slightly ahead of paper and cardboard and twice the level of plastic. And while the US recycles more than half of its yard trimmings, food composting is in its early and costly stages. But a dearth of landfill space, friendly public policies, social pressures, and other factors are beginning to spur industrial-scale efforts to turn trashed food into something useful. For example: California, Connecticut, Massachusetts, Vermont, and Rhode Island have banned some large food producers and other large businesses, such as convention centers and supermarkets, from throwing away food, making composting a popular alternative. Cities including San Francisco, where composting food waste has been mandatory since 2009; New York City; Austin, Texas; Cambridge, Mass. ; and Milwaukee are piloting residential food composting programs. In all, more than 180 communities now collect residential food scraps up from only a handful a decade ago, according to a 2014 report from the Institute for Local Self-Reliance. From an environmental point of view, composting is a much better option than the alternative: overstuffed landfills, often located in poor neighborhoods, where rotting food spews greenhouse gases into the atmosphere. The third largest source of United States emissions of methane, a greenhouse gas significantly more potent than carbon dioxide, are landfills, according to the US Environmental Protection Agency. If diverted from trash, compost produced from leaves, branches, and food scraps can help fertilize soil on gardens, farms, gold courses, and elsewhere. But barriers remain to making food composting widespread. One challenge is the chicken-and-egg problem, says Samantha MacBride, Director of Research and Operations at New York City’s Department of Sanitation. “Firms are not going to invest in plants unless there’s a guaranteed supply, but cities won’t start [composting] until they know there’s a processor” to handle the waste. Composting food – which, if not treated properly, attracts rodents and stinks up the neighborhood – is expensive and complicated. “It’s not like it’s a massively profitable enterprise that a lot of people are jumping into,” points out Eric Myers, Director of Organic Recycling at Houston-based Waste Management, which runs about 40 organics recycling facilities around the country. His company also turns food waste into a sludge that municipal wastewater treatment plants, huge energy hogs, use to create electricity by harvesting the the methane that naturally comes from rotting food. This is another popular solution for discarded food. Making compost or energy out of food scraps is still more expensive than sending trash to landfill in many regions, even in Prince George’s County. Mr. Ortiz says his composting facility is operating at a loss now, though he hopes to turn a small profit from selling compost as the facility grows. In some places sending trash to landfill costs as little as $25 a ton, according to Mr. Myers, compared with a national average $36 a ton for composting. “That makes it a lot harder to invest time and resources” in recycling food, he says. But in cities like Cambridge, which piloted in 2014 a small food recycling program that now includes 5,200 households, composting food is cheaper than trash disposal, which in New England can run up to $85 per ton. The expensive part is hauling, says Michael Orr, recycling director for Cambridge. If enough residents divert their food from trash – right now half of the pilot households send their food scraps for composting – the city could use freed trash trucks to collect food scraps. Milwaukee also is trying to make the composting numbers work. Its one-month-old, 500-household food-composting pilot is the latest attempt in a multiyear effort to divert recyclables from trash to meet the city’s goal of reducing garbage by 40 percent by 2020. The city is struggling to meet the goal, in part because Milwaukee charges a flat fee for trash collection, says the city’s sanitation services manager, Rick Meyers. “If you’re paying a flat fee … there’s no incentive for people to think more critically about the materials they generate and discard,” he says. The city council has been reluctant to approve a fee structure that ties the trash cost to the amount that residents generate, though, arguing that it would burden the large population of low-income residents and exacerbate the city’s illegal dumping problem. The average Hongkonger sent 1.39kg of municipal solid waste into landfills per day last year, marking a 3 per cent rise from the year before and the highest level in 10 years, though notable reductions in food and special waste were recorded, new official data revealed. The Environmental Protection Department attributed the increase to more commercial and industrial waste being dumped, which in turn was partly attributable to a “relatively buoyant local economy” last year. The average volume of municipal solid waste sent to the tips in 2014 was 1.35kg per capita per day. Recycling rates for municipal solid waste also fell – from 37 per cent in 2014 to 35 per cent last year – driven by significant declines in recovery rates for waste paper and plastics, which fell by 52,000 and 5,000 tonnes respectively. Every day last year, the city disposed of some 2,257 tonnes of waste paper and 2,183 tonnes of waste plastic in landfills – 17.5 and 8.3 per cent more than the previous year. The two categories each account for about one fifth of the municipal solid waste mix. Meanwhile, the volume of plastic PET bottles (made of polyethylene terephthalate) disposed of alone grew 3 per cent last year as recycling rates nearly slumped in half from 14 per cent to just 7.6 per cent. The low waste recovery rates were blamed on a dismal international market for recyclables in the past few years, resulting in a “dampening effect” on demand as well as on the prices of local recyclables. However, the amount of landfilled food waste – comprising one third of municipal waste – saw a surprise retreat of 7.1 per cent last year to 3,382 tonnes, or about 0.46kg per person daily. 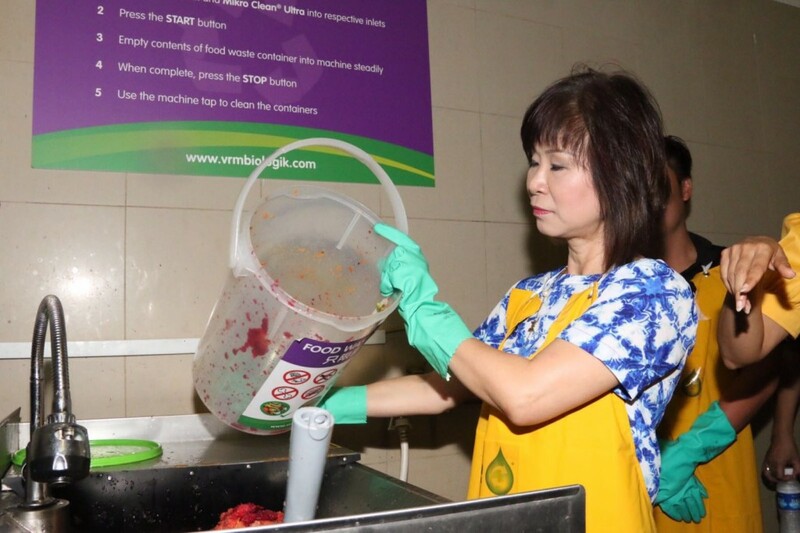 The change was largely driven by households’ kitchen waste. 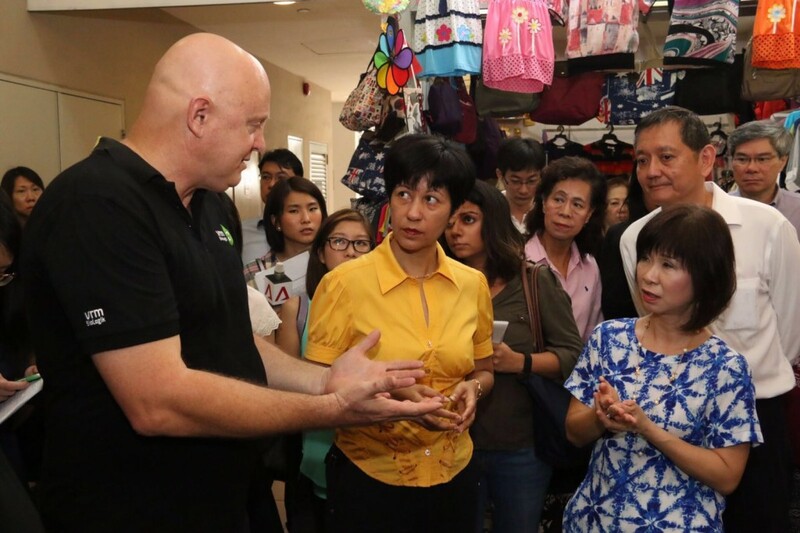 The department claimed the drop could “well be a result of efforts made by many sectors of the community” in response to various government initiatives intended to “nurture a culture of reducing food waste at source and to donate surplus food to the needy”. Environmental group The Green Earth said the sustained high disposal rates stemmed from a variety of factors: a lack of volume-based waste charging, the delayed commissioning of an organic waste treatment facility for food waste, and a downturn in the recycling trade. It urged the government to speed up legislation for municipal solid waste-charging to curb the growth of industrial and commercial waste. It also advocated implementing more producer responsibility laws and regulations for items such as plastic bottles and beverage containers. A department spokesman said it would continue to “vigorously implement policies on waste avoidance and reduction, including municipal solid waste charging and producer responsibility schemes”. It is understood the Environment Bureau hopes to prepare corresponding legislative proposals within the current legislative term. Of the 5.5 million tonnes of solid waste discarded last year, two-thirds, or 3.7 million tonnes, was municipal solid waste: that is, rubbish generated domestically from homes, and commercial or industrial activities. Most of it comprised food, paper and plastics. The remaining 1.8 million tonnes primarily consisted of waste from the construction sector, or special waste, which includes livestock, radioactive, grease trap waste and sewage sludge. 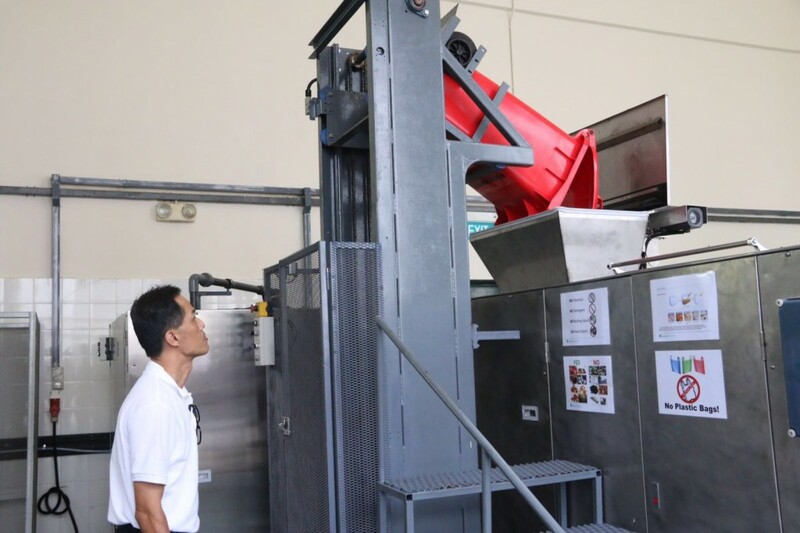 The amount of special waste discarded in landfills fell by 34.5 per cent last year due to the commissioning of a new treatment facility in Tuen Mun, which incinerates sewage sludge into residue and ash.